Pathiramanal– Pathiramanal is a small island in the Vembanad Lake located about 38 km from Kuttanad. It is home to many rare varieties of migratory birds from different parts of the world. It can be reached by taking boat from the lake and takes half an hour to reach there. The island gives beautiful and scenic view . Bhagavathi Temple – This temple is believed to 3000 years old temple located 22 Km from Kuttanad. 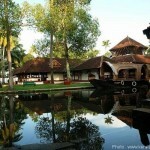 It is one of the most famous temple of Kerala. Chavara Bhawan – It is the birth place of the blessed Kuriakose Elias Chavara. It is a place of worship and many devotees gather here for prayer. 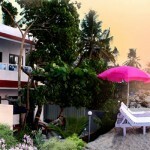 The Chavara Bhavan is now a religious place and resort , a 250 year old light beacon is also there in its original form. 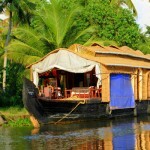 It is located about 56 km from Kuttanad. 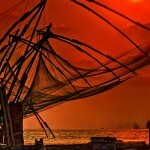 Thrissur-Thrissur is one of the largest city of Kerala known as cultural capital of Kerala. 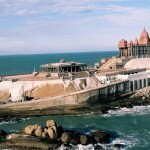 There are numerous temples, church, mosques , cultural institutes . 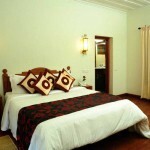 It is located about 39 Km from Kuttanad city.